Shake your tail feather at Solea's Lounge on Alberta every Friday Night with the Christopher Brown Quartet. 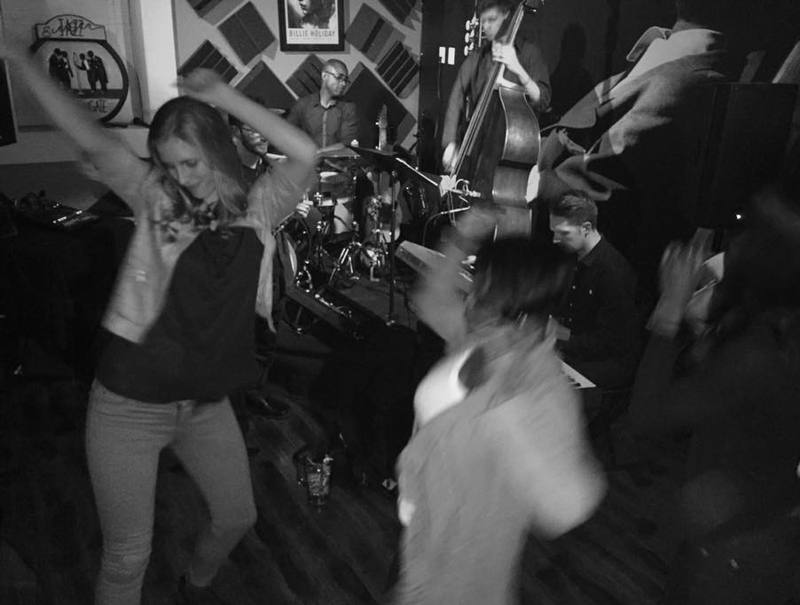 With the music starting at 9pm every Friday evening at Solea's on NE 18th Ave and Alberta St., the musical aesthetic that fills the room is always that of a hard driving, yet beautiful and sophisticated style of Jazz that's very much indicative of NYC. And thus it's with these traits that half of every performance is also dedicated to bringing everyone in the room just a little bit closer together by taking the audience on a journey down memory lane, via highly arranged versions of the hottest songs to emerge from the 80's. So while most venues in town are indicative of that laid back vibe that Portland is so known for, you won't find any of that at Solae's, as no one sits still--especially as the hour gets later and people fill the dance floor. tags / 80's Music, Christopher Brown, best bar in northeast, Happy Night out, pure happiness, Portland Laid back, Soleas Lounge, 80's pop music and Jazz, The only dance party on Alberta St. The Jazz Dilemma: What is it, and why should we care about it?